SO MANY REASONS ARE AFFECTING OUR SKIN IN OUR DAY TO DAY ROUTINE LIFE. WITH THE HELP OF AYURVEDA WE CAN GET RID OUT FRM SUCH PROBLEMS. To heal completely one need inner and outer therapy for the skin. In ayurveda, every individual have different skin types and ancient texts describes different types of therapy, medicines and herbs for such problems. This may be helpful in your routine schedule. 1 . You can rub a potato on your skin to reduce pigmentation marks .You can try the juice of potato also on the affected areas to lighten pigmentation marks. 2 .Take milk powder, honey, lemon juice, almond oil each in equal amount . Apply on your blemishes and leave for 20 minutes .And wash off with water .This preparation can be kept in the refrigerator up to 1 week .You can try this home remedy for fading even the toughest of tan. 3 You can try the mix of powdered oatmeal, yogurt, a few drops of lime juice and tomato juice .Keep it on the scar –affected face for an hour .Wait for one week to see the positive results. 4. Apply the mix of lemon juice and turmeric once a week to remove all sorts of blemishes from your face. 5. Apply almonds which have been soaked in milk overnight .Grind them well and apply on your face .Wash off after 20 minutes .This home remedy is a great help for treating pigmentation marks . 6. Grind the orange peels in water and apply this pack on the face to get rid of acne -scars and acne too. 7. Rub jaiphal in milk and apply this on your pigmentation marks and pimples .Follow this home remedy regularly to see the visible results. 8. Apply rose water and lemon juice in equal measure and apply on your face .Wash off after 20 minutes. This home remedy helps a lot in removing dark spots. If you use this home remedy regularly, you see your acne gets reduced in 10-15 days. 9. Applying mashed carrots paste or carrot juice helps in curing all types of blemishes of the face. 10. Smear the mixture of red lentil powder ,sunflower seeds and yellow mustard on your face. Use this home remedy on your face after washing the face with warm water .Leave it overnight and wash off in the morning. This clear skin tip works a great deal in fading blemishes of the face. 11. Apply baking soda with water on the face to remove pimples and pimple- marks of the face. 12. Cucumber juice mixed with lime juice works wonders for scar removal and pimples reduction. 13 Aloe Vera gel is very good for removing all types of blemishes on the face and giving your clean and perfect skin. You can mix 3-4 vitamin E capsules in aloe vera gel to enhance the efficacy of this treatment. 14. Rub sandalwood powder in milk and apply on your face .Sandalwood is an excellent aid for lightening all types of blemishes including acne and acne scars. 15 .Mix basil leaves and lemon juice together to apply on the pigmentation marks.This home remedy can help a lot in treating pigmentation marks. 16 . Mix of turmeric and basil leaves juice is helpful in curing all sorts of skin imperfections like pimples ,pimple marks, black spots ,etc. 17 . Mix mint juice and basil leave juice in equal measure to apply on your blemishes to cure them naturally. 18. Grate potato and mix it with multani mitti and lemon juice ; leave this pack on the scar –affected face for 20 minutes. Follow this wonderful natural remedy to get perfect and clear skin. 19.The juice of tomato is a top time tested home remedy for curing pigmentation marks. 20. Grind 2-3 henna leaves and 1/2 tea spoon of turmeric together .Follow this clear skin tip regularly to get spotless and perfect skin naturally. 21. Mix basil leaves , mint leaves and neem paste together to apply on the face .This home remedy is the best for the skin affected with acne and acne marks . 22 .Grind betel leaves in coconut oil and apply this paste on your blemish -affected skin to get rid of them naturally at home. 23. Scrub your skin with sugar mixed with and olive oil/almond oil . Scrub until sugar granules melt completely. Try this home remedy if you notice pigmentation marks on your legs ,hands ,neck and other parts of the body. 24 . Mix 1 spoon of barley flour,1 spoon of honey,1 spoon of curd together .Apply on the face and leave for 20 minutes. Rub while removing this pack. 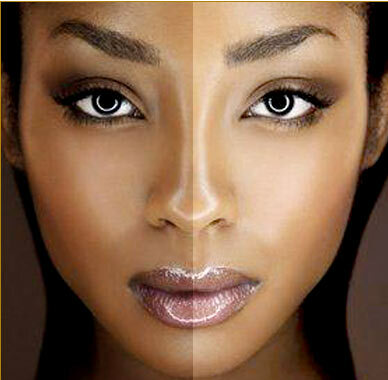 This natural remedy is very effective for treating black /dark spots of the face. 25. Mix 1 spoon of lemon juice,1 spoon of honey,1/2 spoon of almond oil well. Massage your face with this mix. Wash off after 15 minutes .This tip is helpful for giving you spotless and glowing skin. 26. Sandalwood powder mixed with turmeric and milk if used for7 days regularly gives flawless and perfect skin. 27. Adequate water intake removes toxins from the body and makes your skin free of all problems like pigmentation marks ,pimples, and dark spots . 28 . Boil cumin seeds in water and wash your face with this water to remove facial blemishes. 29. Apply few drops of lemon juice in cream and apply on the face. This tip is good for getting rid of pigmentation marks. 30. Apple cider vinegar mixed with onion juice is a good aid for removing blemishes from the face.In addition,vitamin D is an important nutrient for the healthy skin.So,up your vitamin D intake in your daily dietary routine.Check out food rich in Vitamin D.
31.Mix of multani mitti(fuller’s earth) and potato is good for reducing facial blemishes. 32 . Leave the mix of turmeric and fresh cream on your face for 15 minutes to get fresh and clean face. 34. The mixture of tomato juice and lemon juice is a great tip for treating pigmentation marks. 35. Powdered lentil mixed with sandalwood works wonders in removing pigmentation marks and blemishes from the face. 36. Multani mitti , rose water, and glycerin mask eases off acne marks and blemishes naturally. 37 . Mix lemon juice, organic honey and yoghurt in equal measure to apply on the face for 20 minutes .This tip helps to treat dark spots and blemishes of the face. 38. Rinse your face with water in which half of the content is vinegar. This tip is excellent for giving you whiter, clear, brighter and smooth skin. 39. Mixture of guava and banana helps in reducing pigmentation marks and imparting glow to the face. 40. Mash raw papaya and mix with raw milk .Massage this mix on your face to reduce pigmentation marks and all types of blemishes. 41. Sandalwood , glycerin and rose water mix works best for reducing acne-marks and make you fairer too. 42 Massage your face with honey with 2 strands of saffron mixed in it. Use this home remedy for curing black spots. 43. Boil mint leaves and apply this water on your skin to remove pigmentation marks and all sorts of blemishes. 43. Leave the mixture of vinegar and 3 mashed strawberries overnight on the face. Regular use of this remedy helps in curing black spots and pigmentation marks naturally. 44. Paste of cardamom and lemon juice is a great aid in removing facial blemishes and black spots of the face. 45. Washing your face with buttermilk helps a great deal in reducing black spots and pigmentation marks. please let me knw the fastest way of reducing acne ? 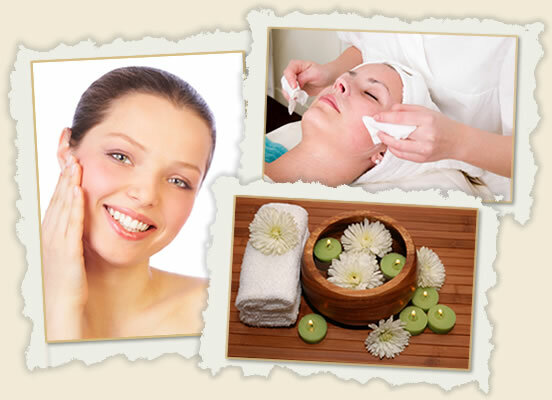 A very informative blog Massage Services. I'm so so glad reading this one. I do appreciate your effort doing this. Now a days certain natural techniques available to manage your face beauty, some female uses potato oil with almond, other uses lemon juices with eggs these all types of osteopath Canberra techniques are very helpful and useful for the female who wants to attain face attraction. Skin is the necessary part of our body, every person desires that his skin should be clear and beautiful, herbal are important for the people, they make the skin of person bright and tight, every women desires tight and beautiful skin for look beautiful. That is the reason they also need back pain Canberra to keep their back straight to manage with their skins as well. Oh! Lots of information you have shared on this post. I have watched an awesome video- How to Remove Pimples and Acne Overnight Naturally & Faster at Home that also helpful. hope you will enjoy it!! Natural Herbal ayurvedic products medicine is one of the best treatments from health without causing any kind of side effects.